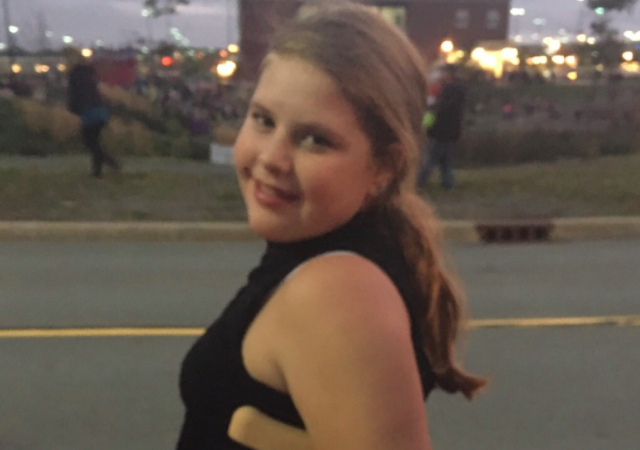 Carys Hart, 11, died in the fire early Saturday morning. An electrical fault is to blame for the tragic fire that claimed the lives of a 58-year-old Lower Sackville man and his 11-year-old granddaughter. Halifax Fire and Emergency chief Ken Steubing told reporters at a news briefing Monday afternoon the fire started early Saturday morning in the duplex’s basement. Although authorities have not released the names of the deceased, family members have identified them as Marven Hart, 58, and his granddaughter Carys Barnes, 11, who was visiting for a sleepover. Carys’ sister, Alexandra Barnes, has created a GoFundMe page to help raise money for funeral costs. As of this publication, close to $5,000 has been donated in a single day. On the page, Barnes writes that losing her sister has shattered hearts and ruined her families’ lives. The home’s other two occupants—Hart’s wife Pat and their 18-year-old son Trent—were still being treated at the hospital as of Sunday night. Marven is the brother of Wray Hart, the much-beloved Halifax man who himself was struck and killed by an alleged drunk driver last month in the city’s south end. Unlike that incident, for which 23-year-old Dennis Patterson is still awaiting his day in court, Saturday's house fire is not regarded as suspicious and neither the police nor the fire department will be laying charges. The fire chief did caution, however, that the past weekend's deaths may have been prevented if there was a working smoke alarm on each floor of Hart's Leaside Drive home. Steubing offered his heartfelt condolences Monday to the family on their losses, as well as to first responders impacted by the tragedy. “Good afternoon. Thank you for joining us here this afternoon. I apologize for the short notice in inviting you here but I wanted to ensure you were kept up to speed on the work we’ve been doing into the fatal house fire over the weekend in Lower Sackville. “I first want to extend my heartfelt condolences—and those of our firefighters—to the families and local community affected by the tragic circumstances from this weekend’s fires. These past few days have been difficult for everyone. “With regard to the house fire in Lower Sackville, I can confirm that neither police nor the fire department will be laying charges. The investigation is ongoing, but we have determined the fire was not suspicious and originated in the basement of the duplex. “Our fire investigators have concluded their work and the evidence points to an electrical fault as the cause. “At this time, I want to urge those listening or watching at home to make sure you have working smoke alarms on every floor of your homes. There was one working smoke alarm in this home, but it’s our belief if there had been more than one working smoke alarm, the outcome might have been different. “It’s at a time like this that we should all step back…and take a look around our homes to ensure they are safe. Do you have a smoke alarm on every floor? Are they within five metres of sleeping quarters? Do you have a carbon monoxide detector? And do you have two clear exits from every room in your house? These are the questions that when you answer ‘yes’…you can save a life. “What happened this weekend is an absolute tragedy but it could have been worse. I want to send out my deepest gratitude to our first-responder partners, who stepped in to assist on the weekend, ensuring a devastating situation wasn’t even worse. I want to personally recognize the RCMP officers who acted quickly to effect a rescue as well as our EMS partners who worked tirelessly to mitigate the loss of the fire. Our firefighters worked to exhaustion to affect the searches and extricate the occupants. Thank you all. “The families and community suffered a huge loss this weekend and I know some of our firefighters are suffering right now too. They signed up for this job to save lives. And on this occasion, we weren’t able to save everyone. Support is being provided and we will continue to support our team. I would urge our members from the community who are suffering to seek assistance as well. “The first two lines of defence for fire departments is public education and fire prevention, and HRFE has done some tremendous work in these areas over the last few years, but today I will reaffirm our commitment to ensure we see as few tragedies as possible in our municipality. “We also want to ensure people are aware of our smoke and carbon monoxide alarm program to ensure no home is left unprotected. For more information please contact 311.